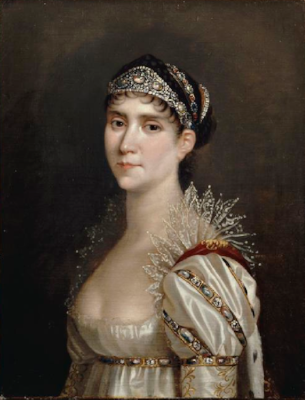 Portrait of Josephine painted by Robert Lefever c.1805 wearing the Tiara by Nitot. First founded in 1780, Chaumet has a long-established connection with royalty. 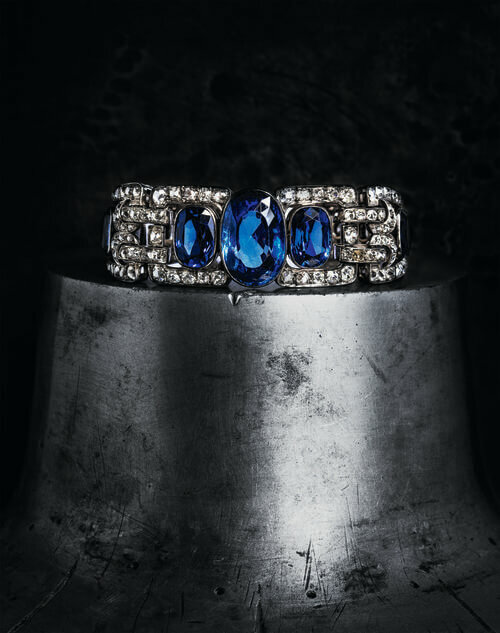 Its founder Marie-Étienne Nitot, had completed his apprenticeship at the house of Aubert, jeweler to Queen Marie-Antoinette, and after the revolution he became a firm favorite of Empress Josephine, for whom he designed several tiaras and other jewels. Throughout the 19th century, Chaumet counted many French nobles among its clients, from the Duchesse de Berry to Princess Mathilde Bonaparte, as well as members of the British and Russian high society. “Imperial Splendor,“ a major retrospective at the Palace Museum in Beijing (formerly known as the Forbidden City) is hoping to dazzle visitors with the heritage and traditions of the brand, while detailing the style and visual codes of the house that have developed along with the great artistic movements of the times. 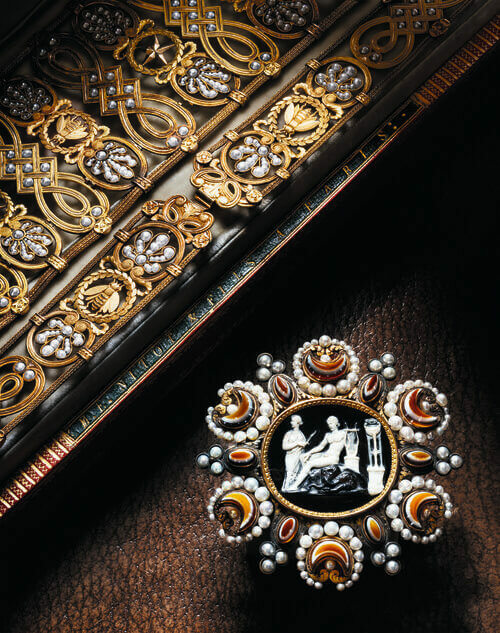 Some 300 works, including jewels, paintings, drawings and objets d’art, illustrate Chaumet’s “art of jewelry”, and several prestigious collections and prominent museums have come together to support the event: the Musée du Louvre, the Château de Fontainebleau and the Victoria and Albert Museum of London. Curated by Henri Loyrette, the exhibition spans the history of the Maison and illustrates the uninterrupted transmission of savoir-faire. Amongst the highlights are the Bourbon-Parma tiara, made by Joseph Chaumet for Hedwige de La Rochefoucauld for her marriage to Prince Sixtus of Bourbon-Parma in 1919, as well as a 21st-century tiara, the result of a creative competition at Central Saint Martins, University of the Arts, in London in 20xx. Under the direction of CEO Jean-Marc Mansvelt, Chaumet has striven to raise the profile of the brand, which he has described as the “sleeping beauty” of Place Vendome. In the last two years, there have been pop-up exhibitions in a new dedicated space at the maison’s Place Vendome boutique, a collection of three books have been published with Assouline, and the jewelry brand teamed up with My Little Paris to launch a Paris city guide app for couples. Imperial Splendours will run from April 11 to 2 July, 2017.